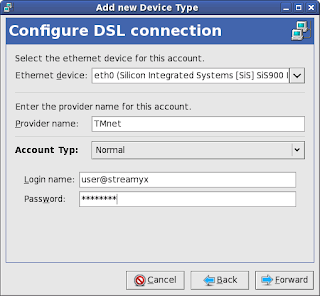 Some users might not notice that Fedora have a very easy to use GUI for setting up ADSL and other network connections. 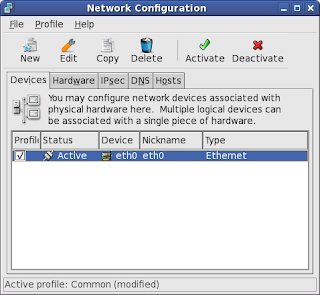 The tool is integrated together with Fedora/RH system-config utility called system-config-network. 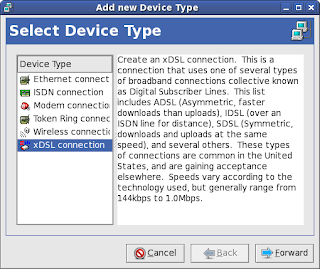 This howto will show you how to set-up a PPPoE/ADSL connection using it. Okay, the interface is somewhat looks complicated. I was a little bit lost too when I first time using it. But after knowing that the tool support lots of other advanced network capabilities (like multiple IP per device, IPsec, VPN, etc), I accepted the UI is the best that way. 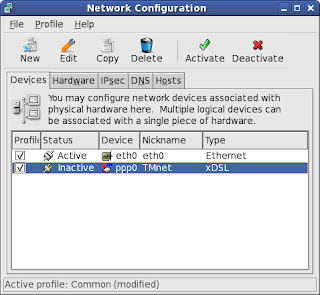 To create a new PPPoE connection, click the New button and this window will appear. 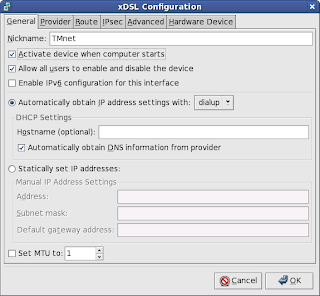 Select xDSL Connection. Follow through the instructions and fill the forms. 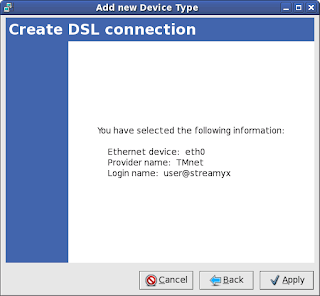 For the Ethernet Device entry, select the device that connected to your ADSL Modem. To connect to the network, just select the connection click the Activate button. You can also set it to start on boot by selecting the connection, click the Editbutton , select Activate device when computer start, and click OK.
Thats all~ :D. Btw, If you notice any missing step in this guide, please tell me about it because the last time I'm using ADSL modem to connect to internet was during Fedora Core 3 (which was 2 years ago, nothing much has changed in setting up ADSL using system-config-network since then).Now I'm using a router and doesn't use this anymore.